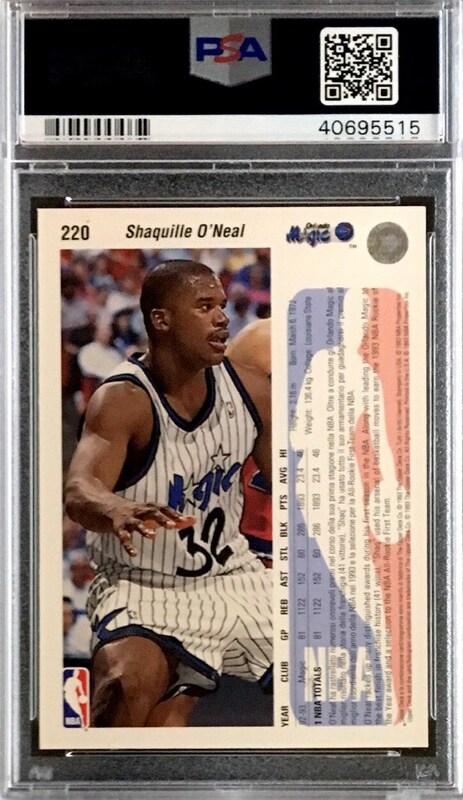 Up for consideration is a 1992 Upper Deck International Italian #220 Shaquille O'Neal Rookie card. 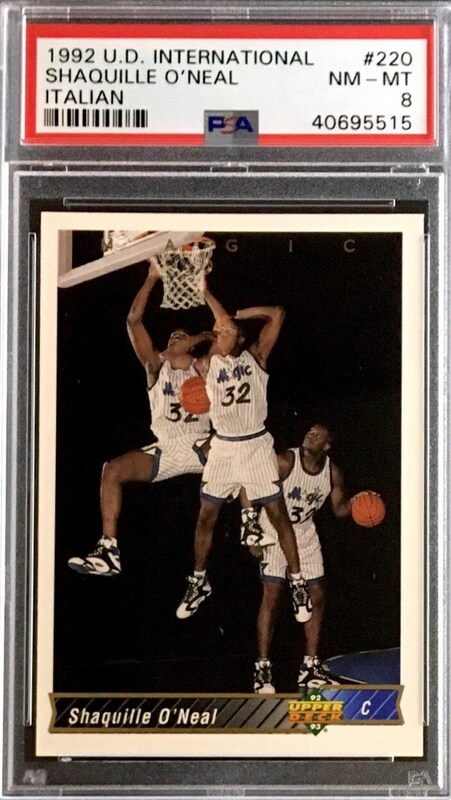 This classic image is still a favorite among collectors. Presented here is the rare Italian version graded a Near Mint PSA 8.